Tahini is still regarded as a relatively exotic ingredient in the UK, even though without it we’d be without one of our most beloved staples: hummus. It’s nothing more than ground up toasted sesame seeds – made in much the same way as peanut butter – but the intense, slightly bitter flavour makes it a perfect match for a plethora of dishes, both sweet and savoury. Our collection of tahini recipes sets out to prove just that. The first thing you should make with a jar of tahini is, of course, hummus – try Richard Davies’ recipe or Bryan Webb’s quick and simple hummus to get started. 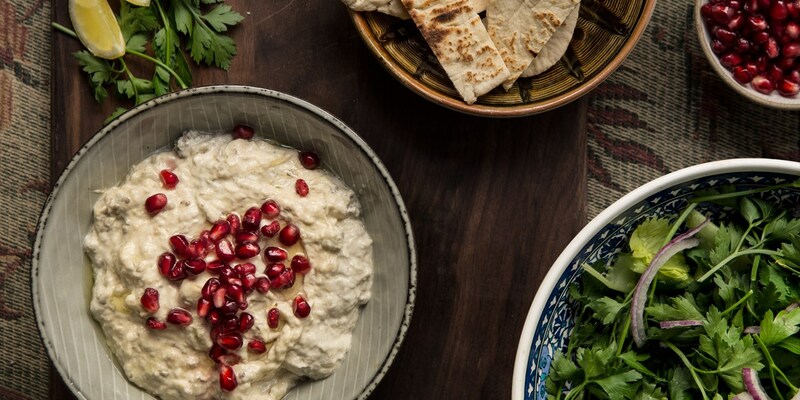 It works in lots of other dips, too, such as Helen Graves’ Roasted cauliflower and tahini dip or Monica Shaw’s moutabal. It’s also a great addition to salads and main dishes – try it with haddock with golden onions or used to make a vegan 'mayonnaise' for an aubergine salad. When using tahini, always make sure to give the jar a good stir beforehand – the solids tend to sink to the bottom with the oil resting on top. And for a quick tahini sauce, simply add lemon juice, garlic and a little water to tahini to thin it out.